Everyone needs someone to talk to. Sometimes we don’t feel comfortable sharing our struggles with family and friends. I provide a safe, neutral space for you to process your feelings, and identify negative thinking and behavior patterns. When you have this opportunity to safely express yourself you will notice positive changes in yourself, and your relationships. 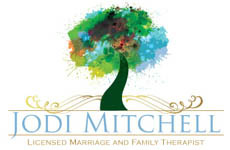 If you are wanting a place to process your feelings and work through your challenges call me for an appointment.